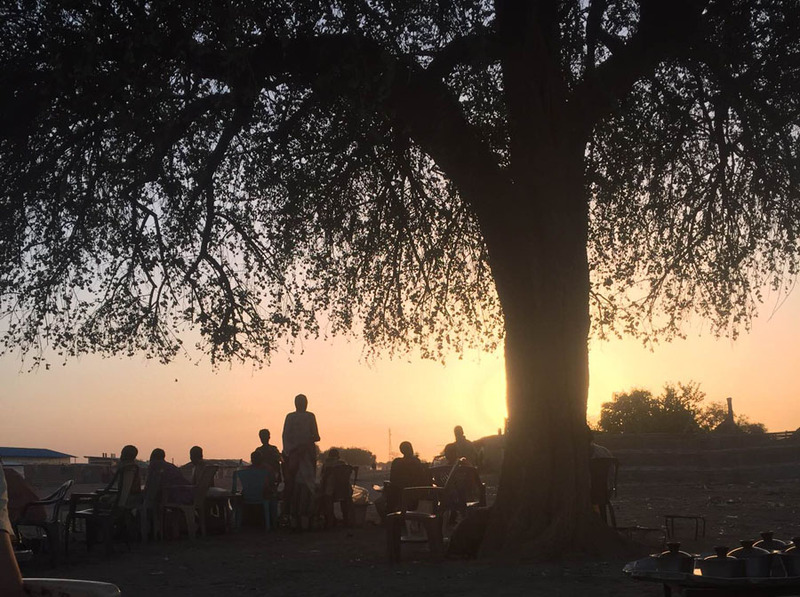 Nurse Johanna blogs from her final weeks on the neonatal ward in Agok, a town in the Abyei region between Sudan and South Sudan. As my time to leave draws closer I'm beginning to feel nostalgic for all the things that are so different from home but that have become 'normal' during my time here. Living here is different for so many reasons. I've never had a 30 second commute before (the hospital and living compound are on the same site) and I've never had around 60 'flat mates' from all around the world. I know I'll miss watching the hundreds of bright white birds that look like something out of Fantasia as they swoop and circle across the dark night sky. I might even miss having to wear earplugs because of the choir of frogs that try to keep you awake at night. I've become accustomed to the big scary hawks and vultures that congregate around our kitchen and swoop down on you should you carry any uncovered food outside. They're no joke: it's not uncommon to hear a scream and plates clattering to the ground should someone forget, and one of my colleagues even had an apple she was eating snatched out of her mouth. I've developed a Hitchcock-like fear of birds and seeing their shadows pass along the ground always gives me the chills, whether I'm carrying food or not. I'll have to readjust to having time when I'm completely on my own. Here we are constantly in a big group, and even when I'm 'alone' in my tukul there will be someone within a maximum 10m radius. It's so hot that windows and doors are almost always left open and with walkways on three sides of my room and a shared partition wall on the other, it's fair to say that privacy is limited here. Living and working with the same people in a situation like this forges bonds differently than in the outside world. Everything is that little bit more intense, and I think socially we are often in the grip of mass hysteria. How to explain to a new arrival why 'Number Six!' gets shouted regularly and randomly or why the mere mention of Maputo (capital of Mozambique) will cause us all to giggle uncontrollably like school children? Truth be told I think most of us don't even remember anyway. We all work incredibly long hours, I probably have one of the easiest rosters- I work at least 10.5 hours, 6 days a week- but I'm spared the torture of carrying a radio- many of my colleagues are on call 24 hours a day, on top of their normal working hours. And to be honest, even on your day off you are living on site, surrounded by your workmates so you're never far from the hospital- mentally or physically. There's also not much else to do outside of the compound. We are allowed to go to a grand total of three whole places that are not work or home. When the security context allows. One (my favourite) is the little tea stall which sits under a tree opposite the hospital. It is approximately 15 seconds walk from the main gate of the compound but it feels as if you are entering a different world. You sit on plastic chairs and get served hibiscus tea in glass mugs with delicate metal spoons for stirring. Sometimes they add cardamom, sometimes mint, sometimes ginger. Next to the tea shop there are many street vendors selling peanuts or peanut butter and it is a great place to watch people and life. I'm always fascinated with the toys that the children have. I'm sure they've made some of them themselves- I often see little boys playing hoop and stick with bicycle tyres and plastic water bottles - but others have definitely been crafted by someone else. Several times I've seen children pulling along these amazingly intricate cars and trucks with moving wheels and several parts, all created from old tin cans. They are really cool, I want one too! The other places we are allowed to go to are the market (which sounds far more exciting than it actually is) and to walk along the river. Of course, it's only possible to do this on your day off, and often all you want to do is sleep so I'll often find that I haven't left the compound for weeks at a time. I need to work on that. Similarly to Britain the word for 'sorry' ('mahlesh') is used frequently. But unlike in the UK, where by apologising for something somehow you are admitting culpability, here the word carries no sense of guilt. At first it was strange to me that when I lost my balance or dropped something (these two things happen frequently- I'm often clumsy) other people would tell me they were sorry. My natural instinct was to reassure them it wasn't their fault, but they looked at me blankly- they had never suggested it was their fault, they were just offering condolence that it had happened. I really like it, such a gentle way to acknowledge that something untoward has happened and that you are aware, and care. Similar to other countries I've visited, names are important and often denote the place in the family. I became accustomed to the twin names - Ngor or Anger (pronounced Nor and Anyer) for the first twin depending if it is a boy or a girl, and Chan or Achan for the second twin. One day, one of my assistants was telling me about her grandmother who had had four sets of twins. 'What do they do about names if there is more than one set of twins?' I exclaimed, realising as I asked that I was about to receive an answer far more complex than my tired brain was able to process. She laughed at me indulgently, 'the first set of twins are called Ngor and Chan and the first twin of the second set is called Chan Ngor and the second twin is called Chan Chan'. I looked at her quizzically - 'surely that gets very confusing?'. 'Yes. So when the twins are born they sacrifice two goats- then the second twins are called after the colour of the goats that were sacrificed for them' she explained patiently. It was clear I didn't get it, so she added 'like 'Malual' means 'red', so if a boy is called Malual it means that a red goat was slaughtered for him'. My brain whirled into action. We had a mother on the ward whose surname was Malual, and I knew that children took their father's first name as their surname. Feeling like I had suddenly solved a huge mathematical problem I jumped up and ran to the board where all the names were written. Pointing to her name I asked my assistant, 'so then just by knowing her name we can tell that her father was one of a second set of twins and that when he was born a red goat was slaughtered? That's amazing!'. She shrugged, 'Let's ask her'. We hurried to the other end of the ward where the mother was watching us cautiously, clearly aware that she was being discussed but unsure why. When my assistant translated our question they both laughed, amused that something so ordinary to them was causing me such excitement. 'She says you're right, but actually it was her grandfather'. I was so gleeful that my 'calculation' had turned out to be correct that it was only later I wondered why she had her grandfather's name not her father's. I decided that that would be a question for my next lesson, my brain had had enough activity for one day! In a country with a high number of multiple births, and also high infant mortality, it is natural that there should be customs regarding children that have lost a twin. This is not something that had occurred to me however, until one day I learnt the hard way. It was a busy day on the ward and everyone was working hard to try and get everything done. My heart sank as I saw two women enter the ward carrying two babies - we were already more than full and didn't have time to see any more. The way babies are carried here is not like in other places where they may get strapped to their mothers or be in a type of sling. Here the babies are wrapped, normally placed on a waterproof cushion and then the mother holds them in their arms in front of their body. Then a piece of cloth or a blanket is draped from the mother's shoulder to completely cover the baby. I guess that this is to protect the baby from the powerful sun or cool of the night, but it also means that the baby is unable to be seen. However, it is only babies that are carried this way so you know what is under the blanket. Or so I thought. When the women entered I went into defensive mode. 'Tell them they need to go to ER to have the babies assessed' I said to one of my assistants, but in response one of the women smiled and pulled out a 'follow up' card, meaning we had previously asked them to bring the baby back so we could see how they were doing. I felt bad for my earlier brusqueness but was still stressed and confused. 'Tell them we'll see the baby we asked to come back but the other baby will have to go to ER - we are too busy here!' I said (unreasonably) grudgingly. The women smiled again and said something to my assistant, who also smiled. 'It's OK,' said my assistant, 'the other baby is dead.' As if that made everything clear. They all looked at me as if I was crazy. 'Tell them to bring me the baby! Why aren't they doing anything?' I repeated, feeling my blood pressure rising. She removed the blanket that was obscuring one of the 'babies' and pointed. There, lying on a waterproof cushion and dressed in a small vest just like the other babies wear, was: a stick. Once my heart had stopped beating a million beats per minute and we had confirmed that the other baby was alive and well, I asked my assistant to explain. 'When a baby loses its twin then it loses someone that was supposed to accompany it through its whole life, it loses a part of itself that was supposed to be there. So that the baby doesn't feel so alone, and so that the other twin is never forgotten there is a ceremony and a special stick takes the place of the lost twin' she told me. Instantly struck by the poetry of the idea, but unclear on the practicalities, I asked 'what do you mean that the stick takes the place of the other twin?'. 'Yes.' The look she gave me added the implied 'of course'. I thought about it for a minute. While I wasn't sure I'd want to be married to a stick, my assistant assured me that this was in name only and the second wife was treated no differently than how she would have been treated anyway. The important thing was that the children that were supposed to be born could still be born and Chan's name would still be remembered and honoured. I thought about all the babies that had died since I'd been here, and how helpless we often felt against the forces of life and death beyond our control. I remembered times in my own life when loved ones were gone too soon, and how it felt like there had been a universal mistake somewhere, that surely now all the things in the future that were 'supposed' to happen would be unable to come true. And I was touched by the beauty of taking back some control. Baby Chan may not have survived infanthood, but his brother would still have his constant presence and the children he was destined to have would still be born. By carrying and caring for the stick the family continued to acknowledge and honour his short time with them and hopefully the knowledge that he would not be forgotten could be of some comfort in their grief. By naming some of his brothers children as Chan's, order was somehow restored in a world where order and control were often scarce and hard to come by. 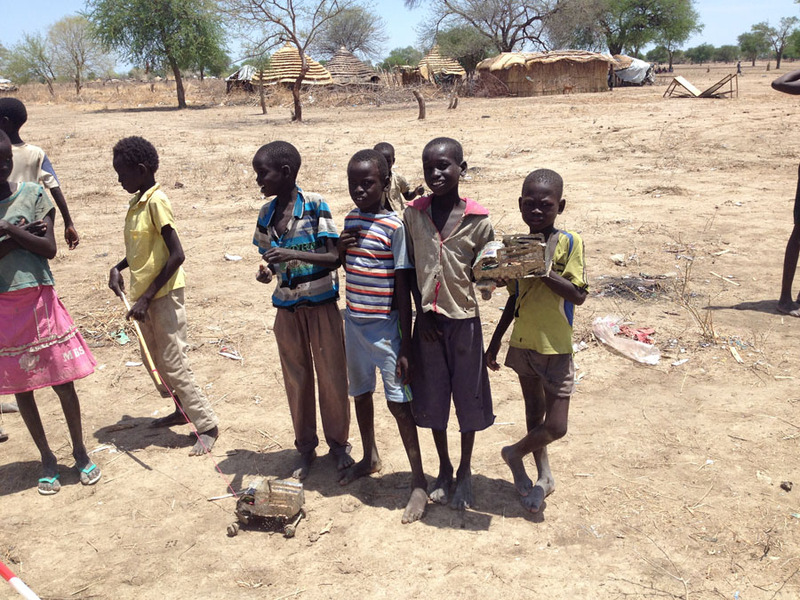 Read more about MSF's work in South Sudan here.